Refinery29, the WPP-backed digital media company for millennial women, has struck its first video on demand deal after agreeing to show its content on Sky. The company will deliver short-form content to Sky Q’s online video section, which is grouped by theme for users to find entertainment from around the internet. Content will include shows such Try Living with Lucie, a series about social experiments hosted by Refinery29’s lifestyle producer Lucie Fink, and Game of Life, an intimate profile series about women who overcome dramatic challenges to pursue athletic greatness. Refinery29 launched its international operation in 2015, hiring Kate Ward, vice-president of international, from the Endemol Shine Group. The company has since launched offices in the UK and Germany with over 30 staff across Europe. Ward said: "We are thrilled to be partnering with Sky to bring our bold and unique programming to Sky Q. We are committed to serving women with unique programming that embodies both style and substance. "This partnership with Sky marks an important milestone of our international expansion, recognising our powerful brand and our on-going commitment to bringing our content to audiences wherever they are watching." This partnership follows Refinery29 deals with Comcast’s Watchable, Verizon’s Go90, Delta Airlines, Xumo and Rheo. Since WPP made a $50m investment in Refinery29 in 2015, the company said it is embarking on international expansion and investment in high quality video programming. Julia Barry, Sky’s director of on demand and online video, said: "Adding Refinery29’s content is a great addition to the Sky Q Online Video section. 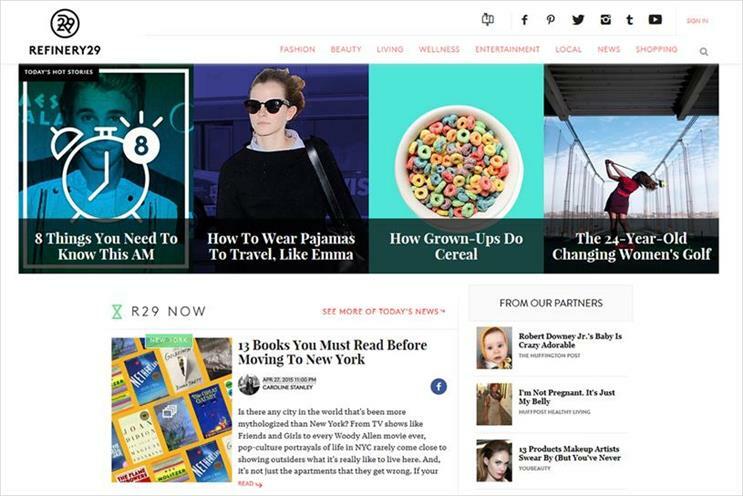 We are always looking for content that will excite, entertain and inspire our customers and Refinery29 does just that."